Prayers for a Heart-Shaped Life reminds us of the importance of sharing our heart with our Heavenly Father. I have enjoyed reading Moore’s encouraging thoughts and prayers and am endeavoring to be more purposeful in my own daily prayer life. 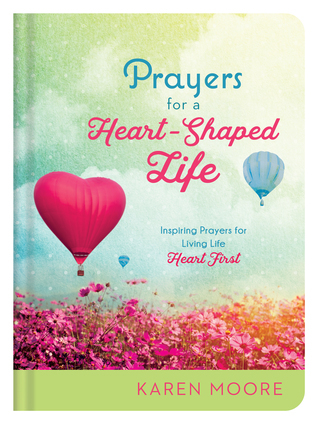 “As it says in James 4:8 (NKJV), ‘Draw near to God and He will draw near to you.’” Including more than 200 prayers, Prayers for a Heart-Shaped Life is a lovely book and an inspiration for greater heartfelt living and prayer. Learn more about Prayers for a Heart-Shaped Life.